Carry tons of CO2 or ammo! This Defender Utility Belt can carry 24 x 12g CO2 cylinder or 24 x 10 rounds tubes. 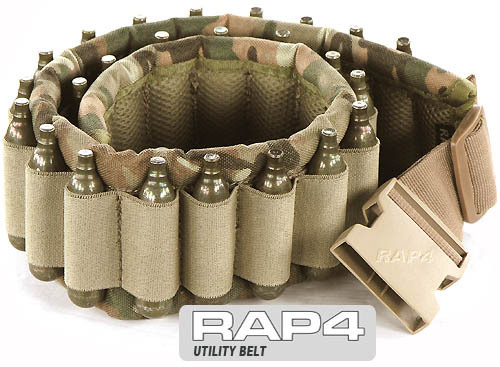 This belt is a must have for those with paintball pistols and pump style markers. You can quickly reload from the belt elastic loop as well as able to keep your ammo ready at all times. This utility belt is adjustable from 30" - 48".